Perineuronal nets form during postnatal development, marking the end of what’s known as the “critical period” of heightened brain plasticity. PNNs are composed of extracellular matrix (ECM) molecules and are responsible for synaptic stabilization in the adult brain. 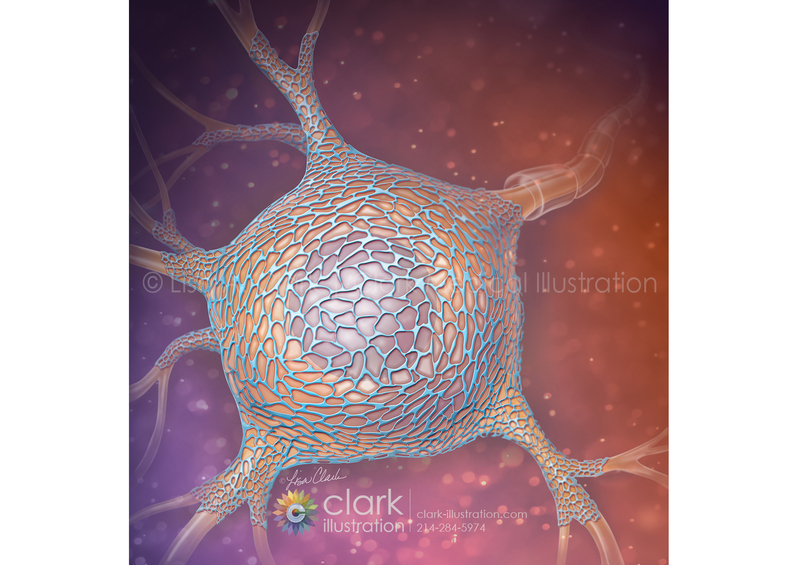 PNNs are found around certain neuron cell bodies and proximal neurites in the central nervous system. Increasingly, researchers are turning to PNNs as potential targets to enhance plasticity for the treatment of various diseases. This illustration was created for a magazine cover.